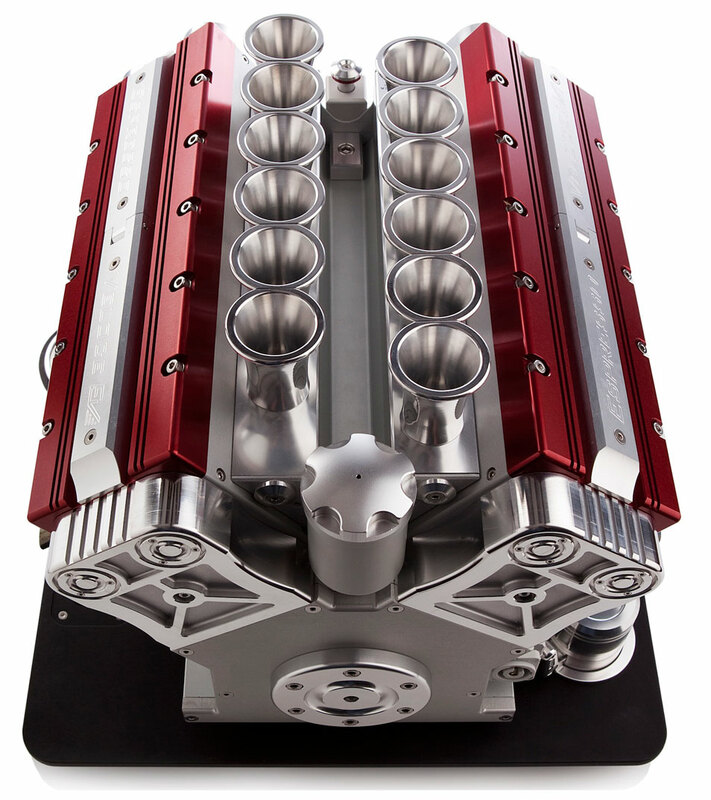 The most beautiful espresso machine in the world, the Espresso Veloce is the ultimate combination of automotive art and effortless espresso. In Grand Prix racing, time is measured in one thousandths of a second and is very the essence of this sport. As in the art of creating a perfect cup of coffee, timing is critical. 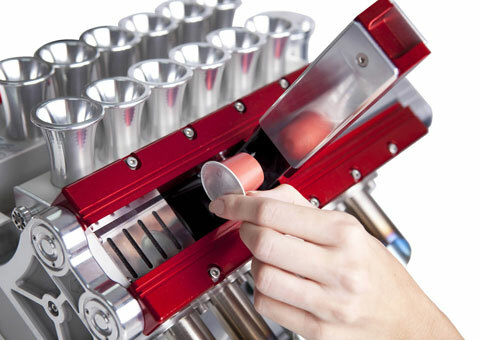 As a tribute to automotive design engineers, racing teams and motoring enthusiasts around the world, Paolo Mastrogiuseppe has created Espresso Veloce, an espresso machine in the form of a Grand Prix motor. 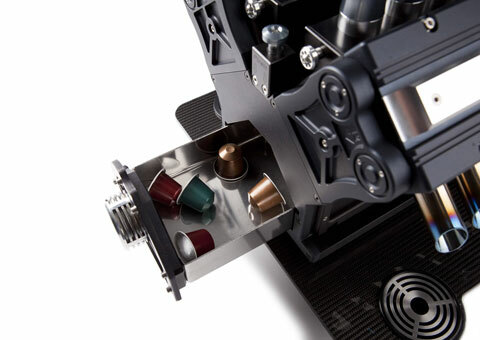 Meaning ‘espresso speed’, Paolo’s espresso coffee machine is an engineering masterpiece, a combination of art and function. 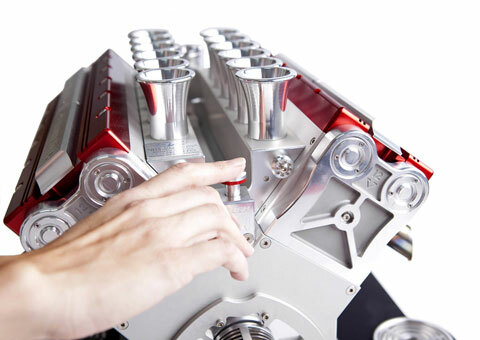 A multi-disciplined mechanical engineer by training, and a visionary at heart, his Espresso Veloce machines are handcrafted using aerospace alloys from the manufacture of Grand Prix Formula One race cars, and manufactured in his state-of-the-art facility. 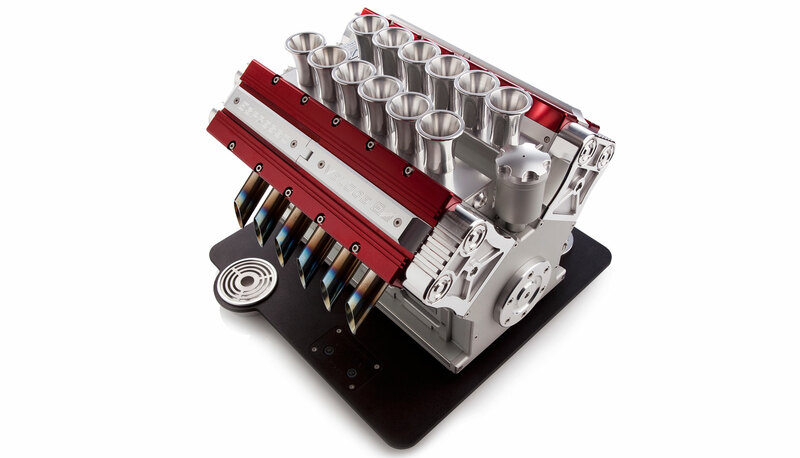 Only available in limited numbers, his Espresso Veloce coffee machines are half-scale models of the engines that powered Grand Prix cars during the 1990’s racing era, and are available in either V8, V10 and V12 configurations. Further, he offers his clients custom colour combinations, allowing the discerning owner to create a unique work of art. 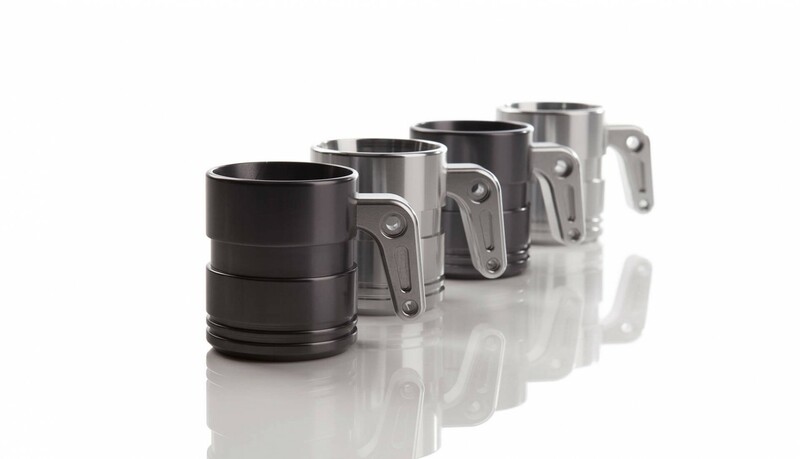 These coffee makers are undoubtedly the most beautifully engineered espresso machines in the world. 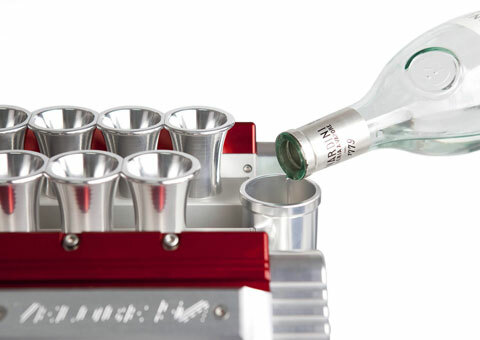 Not only does the “motor” produce a rich Italian-style coffee, but thanks to an oil-filler that doubles as a Grappa reservoir, the espresso veloce also creates the ultimate caffe coffetto!